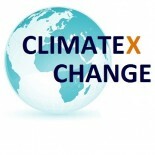 Petersberg Climate Dialogue VII – Keeping the spirit of Paris alive? Following up on the optimistic spirit that reducing global emissions effectively will no longer remain a mere dream – created at the United Nations Framework Convention on Climate Change (UNFCCC) Conference Of the Parties (COP) 21 in Paris last year – 35 country negotiators and representatives from the UN, OECD, Allianz SE, and Greenpeace followed the joint invitation from Federal Environment Minister Barbara Hendricks and the Moroccan Presidency of the next climate conference (COP 22) to meet at the Petersberg Climate Dialogue VII. The main focus of the two-day event was to informally discuss how the ratification and execution of the Paris Agreement could be realised in a timely and adequate manner. For the first time since the establishment of the Dialogue by the German Chancellor Angela Merkel in 2010, the event focused on implementation rather than negotiations. The Petersberg Climate Dialogue was intended to provide a platform for invited guests to informally discuss the climate change agenda under the UNFCCC and to regain pace in negotiations after the failure to deliver results at the COP 15 in Copenhagen. Speeding up the ratification of the Paris Agreement was one main component of the debate. Article 21 of the Paris Agreement says that “at least 55 Parties to the Convention accounting in total for at least an estimated 55 percent of the total global greenhouse gas emissions have [to] deposit their instruments of ratification, acceptance, approval or accession” to enforce the Agreement. This depositing of the Nationally Determined Contributions (NDCs) requires their ratification through the national governments. Up to now only 18 of the 178 countries singing the Paris Agreement have ratified and deposited their action plans (NDCs) with the United Nations. Ms Merkel stressed during her keynote speech that the European Union intends to complete the ratification of its entire roster of member states before the upcoming COP 22 in Marrakesh in November 2016. However, critical voices raised concerns about the feasibility of this intent, as the events surrounding ‘Brexit’ could affect the process and further open-up an opportunity for coal depended nations like Poland and Czech Republic to delay the needed signatures. To further increase the number of countries ratifying the agreement a new ‘Implementation Collaboration’ was launched during the event. It intents to provide assistance in particular to countries with less capacity, to go through the ratification process and submit meaningful action road maps (NDCs). The new institution will have secretary offices in Bonn, Germany, and Washington, USA. Ms Merkel, as well as the Moroccan Environment Minister El Haite acknowledged that the currently known reduction targets in the combined NDCs would be insufficient to reach the Paris Agreement self-declared target to limit global warming to 1.5 (aspired) or at least to under 2 degree Celsius. Both mentioned that they will try to push for more ambitious reduction targets at the COP 22 and during the reformulation of NDCs on a five year basis, as stated in the Paris Agreement, even if this will become a ‘painful’ exercise as the reduction targets need to increase. Ms Merkel underlined her determination through her comment that “climate change is nothing more or less than a question of survival”. Protestors outside of the event venue would likely have responded with the question: ‘the survival of whom?’. They created an impressive sculpture to raise awareness that the leaked draft of Germanys new Climate Action Plan 2050 does not include any timeframe for a phase-out of coal by the government, and that such time targets have been removed from the document after influence from the industry. The activists’ state that the Action Plan will be toothless and undermine the image of Germany as being a front-runner in climate change, an image which the government is keen to preserve. The private and finance sector was also part of the discussions inside of the venue. In his keynote speech, Angel Gurria, Secretary General of the OECD, stressed that all policies need to be aligned to shift all finance towards low carbon and climate-resilient development. That implies clear carbon prices, including carbon taxes and phasing out of fossil fuel subsidies, greening of financial markets and long-term ambitious policy goals. The private sector representative, Dr. Andreas Gruber, Chief Investment Officer of Allianz SE, responded and pointed out that Allianz is already divesting from coal as climate policies are becoming more stringent. However, he also stressed that institutional investors need clear price signals, long-term policy plans that can provide certainty, and public-private partnerships before further investments in renewable energies can get realised. This clear demand to provide policy certainty and create a framework that enables an ‘equal playing field’, had already been raised by industry representatives prior the Paris negotiations, but was not delivered. Ms Merkel said during the press conference that she would like to take the financial sector into responsibility and hopes that the sector will finally deliver a positive legacy after the disasters and crisis they caused in recent decades. During the event Federal Environment Minister Barbara Hendricks also acknowledged the notion raised prior by the World Bank and said “eradicating poverty and combating climate change can only work if they are addressed together. That is why we need an approach that links climate action and conventional development cooperation more closely.” It is to hope that this notion does not include the funding streams and that climate finance will still be considered as being provided additional to conventional development aid. With the closing of the Peterberg Climate Dialogue VII an era came to an end. Christiana Figueres, Executive Secretary of the UNFCCC, had her last working day in that role and was thanked for her six years of hard work with warm words of appreciation and applause. She has worked tirelessly, provided strategic leadership and fought continuously to mitigate and offset the effects of climate change. Her successor has a large task ahead – to consolidate 195 opinions and interests to deliver on and further develop the agreements made in Paris, which hopefully will make a difference. Exploring the link between tourism and climate change caught Janto’s attention. Janto is undertaking PhD studies at the Institute for Risk and Disaster Reduction (IRDR), at University College London (UCL) focussing his research on investigating the potential of private sector engagement in adaptation finance in Small Island Developing States. Besides his studies he currently supports UNDP in accessing climate finance from the Green Climate Fund (GCF) for developing countries. This entry was posted on July 5, 2016 by Janto S. Hess in Climate Change Negotiations, International Development, Uncategorized. Can’t find what you are looking for? Try searching with a keyword.